There is a lot of truth to the sales metaphor “what we plant today we’ll harvest tomorrow.” Sales people have to plant a ton of seeds (qualify leads) in order to harvest their anticipated yield, yet planting the seeds is the easy part. The hard part is nurturing those leads through careful planning and executing each interaction via telephone, email, text, and face to face meetings. Suffice it say, it’s a daunting task for sales professionals and sales leaders to build and execute a lead nurturing campaign that not only shortens the sales cycle and has a measurable impact on the business, but actually compels the prospect to want to engage with the sales professional. Selling IT staffing and professional services has evolved into a complex sales process. Not only are buyers more educated than ever but more stakeholders are involved in the decision making process. According to a study by the Corporate Executive Board, on average, 5.4 people are now involved in today’s B2B purchasing decisions. Differences in opinion, goals and personal agendas not to mention selling to different buyer personas make it increasingly difficult to reach consensus. I think we all agree that selling IT staffing services in 2016 is challenging. I mean really challenging. I could go on and on about the pricing pressure, MSP's and VMS programs, lack of qualified candidates, etc, etc. And for most, simply connecting with a buyer over the phone or through email or social selling is a like an act of god. The crazy part of the whole thing is we sell a service in an industry that has been commoditized where the BEST (and arguably the only) way to differentiate is for the salesperson to create a memorable and lasting customer experience! Sounds like insurmountable odds huh? Fortunately I have an idea which brings me to the topic of buyer persons and why they are so critically important for today's IT staffing sales professional. For those of you who know me and/or have been through our training know how I feel about telling prospects "I'm just checking in." When sales people open conversations or leave voice mail messages like this their customers and prospects quickly delete them. Why? Not only is there no value for them to call back (or engage in a conversation) but they don't even have a reason to call back. This message makes it very quick and easy for prospects to give the quick brush off. But I know as a sales professional and as a sales trainer that most IT staffing sales professionals struggle with sales follow up. To keep the momentum and sales process moving forward sales professionals must always be adding value with every client interaction. The question is, how? I had the opportunity to speak at Bullhorn Engage earlier this year. During my presentation I asked the audience, "how may of you wish your sales reps applied a more consultative sales methodology when approaching prospects and customers? Everyone's hand in the room went up. I thought to myself, interesting, nobody seems to be applying a consultative sales approach yet everyone seems to want their sales team to adopt a more consultative sales approach. How come their sales team is not doing this already? Consultative selling is not a new phenomenon. Next, I asked people in the audience to walk me through their new hire on-boarding and sales training program as if I was a new hire. A few different people described to me their new hire on-boarding and sales training program. In each case I heard some variation of the following: Our new hire training and on-boarding focuses on teaching our company history and background, how long we have been in business and our service offerings. We have a three ring binder with all of our training content and we have a sales pitch deck and marketing literature that sales reps are to go over and share with their prospects. We also go over pricing and how we document in our CRM/ATS and of course we teach new hires how we recruit and screen candidates. My first thought was.....Where is the sales training? I asked the audience what sort of impact this training was having on their sales team and their results? Here is what I heard in response: They're struggling to get call backs They're struggling to get returned email messages They're struggling to get in front of new buyers They're struggling to generate new opportunities Doing more, increasing their activity seems to make no bit of difference These new hires (and the managers, those in my audience) are getting really frustrated They're experiencing turnover What in the hell is going on here? Why does this happen? I believe it is happening because these new hires have been trained to be in constant "pitch mode" selling features and benefits. Heck, they just spent days or weeks maybe even months going through new hire on-boarding training where the entire focus was on learning the company pitch and being able to talk about the company history and service offerings. What do you think is going to happen when these sales reps his hit the phones and start calling on prospects? They're going to go into "pitch mode" and talk about their company service offerings because they have nothing, absolutely nothing else to talk about EXCEPT their company and their service offerings. I think we would all agree that nobody wants to hear from a sales rep who is in constant pitch mode. So how can we change the results? What needs to change in our new hire sales on-boarding orientation? To answer that question let me first provide a framework for "consultative" selling. What is Consultative Selling? Consultative selling represents a sales approach in which the sales person disengages from pitching the features and benefits of their offering and instead focuses on using strategic questioning to engage in a conversation to better understand the needs and goals of their prospect and then co-creates a custom solution for the prospect. Consultative selling also includes sales professionals sharing ideas, insights and best practices with the prospect on how to go about solving a problem or achieving a goal. By sharing an idea or insight, the sales person is positioning him or herself as a "consultant" and thus engaging in a peer-to peer conversation. This approach often challenges the customer's thought process and beliefs and changes the traditional pattern that a customer is accustomed to experiencing when engaging a sales professional. This is how sales people build value into the sales process. The customer is now getting value from engaging with the sales rep. With consultative selling, the customer’s needs are front and center and the sales rep is always coming from a place where he or she is trying to help the customer solve a problem or achieve a goal. More importantly, the customer feels like the salesperson is genuinely looking out for their best interests and not simply focused on making a sale. Key Take-Away Consultative selling has NOTHING to do with talking about your product or service offering. Consultative selling has EVERYTHING to do with understanding your customers, what is important to them, how they think, and what they value. Does this mean we should no longer provide training on our products and service offerings? No. There is a time and place to talk about your offerings, like when the customer asks. But in order to drive, encourage and support a consultative sales approach on behalf of your sales reps, new hire sales on-boarding and sales training should be oriented around understanding your buyer's persona. The key to driving meaningful and genuine business conversations with your prospects and customers starts with understanding exactly who these people are and what they do. This is what sales people need to be trained on. What Are Buyer Personas? Buyer personas are fictional, generalized representations of your ideal customers. They help you understand your customers (and prospective customers) better, and make it easier for you to tailor content including your messaging, email and voice mail to the specific needs, behaviors, and concerns of different groups. The strongest buyer personas are based on market research as well as on insights you gather from your actual customer base (through surveys and interviews, etc.). Finally, keep in mind that buyer personas are NOT job titles or actual people. How Understanding Buyer Personas Drive Consultative Selling A buyer persona tells you what prospective customers are thinking and doing as they weigh their options to address a problem that your company resolves. When you have insights into what your buyers think about doing business with you, you have the knowledge you need to align your messaging with your buyer’s expectations and ask strategic, thought provoking questions. At the most basic level, personas allow you to personalize or target your messaging for different segments of your audience. For example, instead of sending the same lead nurturing emails to everyone in your database or all of your leads, you can segment by buyer persona and tailor your messaging according to what you know about those different personas. Second, personas play a huge role in sales call planning. Chances are you want more face to face meetings and more orders from new customers. 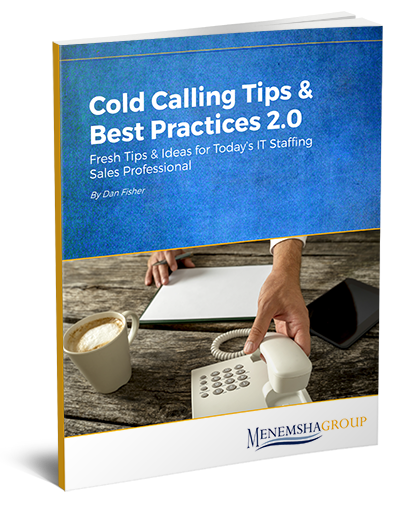 The key to achieving that objective is effective sales call planning. You can plan exactly what you will say and exactly what information or insight you will share with confidence when you’ve built your buyer personas because you know the insight you will be sharing is relevant and tailored specifically to your buyer. By the way, when you consider the study that was conducted by the CEB that revealed that only 36% of sales professionals are prepared for sales calls, I think you will find call planning and building your buyer personas well worth your time. What a huge opportunity to differentiate yourself in a commoditized industry! Incorporate Buyer Persona Training Into Your Sales On-Boarding Chances are you sell to many different buyer types such as the Director of Application Development for a $500M software company or the Vice President of Data Center Operations for a $1B financial services company. The point is, think about the different buyers you sell to. Next, conduct research and interview these people to learn more about their role, the challenges they face, how they think, how they evaluate potential solutions, how they are measured, what they value. By putting new hires through this type of training and doing this level of research on their buyers before they hit the phones, their confidence will be so much stronger. In a previous post I talk about how Hubspot holds their new hires accountable to completing and adopting their new hire training but the other thing that Hubspot does that I think is really cool is they make their new hires "live in the shoes of a customer for a month." Hubspot provides inbound marketing software for small business to generate sales leads from their web site. Before a new Hubspot sales rep can hit the phones however they must first build and maintain a website to certain specifications. Hubspot provides the new hires with all of the tools to do this but the point is, they want their new hires to literally live and feel the pain that their prospects and customers feel. Because they have lived through this experience they can now have much more engaging, consultative conversations with their prospects. For those of us selling IT staffing and professional services I don't think simulating the role of a software engineer, project manager or CIO for a month is possible. The next best thing is to build buyer personas. How do you teach your new sales reps who your customers are and what is important to them? How do you teach your sales team to adopt a consultative sales approach? Let's start a conversation in the comments section below. One of the most important conversations sale professionals have with their prospects is the qualification call, AKA the discovery call. And this of course also typically happens in the initial and often, cold call. This is where the rubber meets the road and the sales rep has to decide if it makes sense to pursue a relationship or not. But it is not always obvious. By asking the right qualifying questions sales people can determine whether or not it is worth the time and effort to pursue the relationship . Having a sound qualification methodology can help IT staffing sales reps shorten their sales cycle and quickly scale their business. Let me share with you the three levels to sales qualification and a qualification methodology to follow for executing each.